I’ve been wishing for a catio since I first took in my cat Avery years ago. 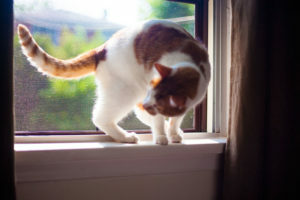 Alas, catios aren’t wise to put up in homes you’re likely to move out of soon – as was the case back when we lived in Canada; nor are they possible to have up in apartments without balconies – which we were in for a couple years before moving to the house we’re in today. Now that our little family of three (my husband, my cat, and I) are finally in a house we can see ourselves living in for decades, with a lovely, quiet little backyard, I’m hoping to eventually get one up, but in the meantime have wondered if more temporary options exist. The sort of thing I was looking for? A cozy little spot I could move from the inside of my house to my garden, that didn’t cost a lot, or take a lot of time or skill to put up. My preference was toward something that could easily be taken down in the blink of an eye, and boy did I find what I was looking for. Where did my search lead me? 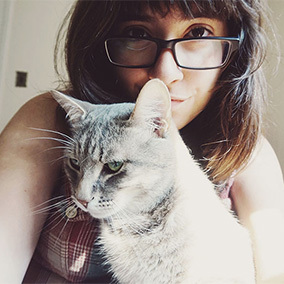 To outdoor cat tents and tunnels – collapsible and portable ones that are fully enclosed and yet have mesh outer layers so they’re breathable and my lovely little house cat can enjoy the fresh air and smells of the outdoors while being outside – all while remaining safe and not escaping. I didn’t really think about looking into this kind of thing before, but now that I have, I feel it really would’ve been nice to have something like that back in Canada, when we were living in houses with lovely gardens but knew we weren’t bound to stay very long. Either way, I may take advantage and try to grab one of these now, unless I can get a catio up more quickly and easily than I’m expecting to be able to. I’ll be honest, once I found out what I was looking for was available to buy online, I expected to see a lot more options than I found. 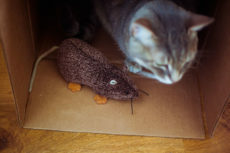 There are a number of similar products to the ones I’ve listed below, but not a lot of them are popular enough to have a slew of reviews – and that’s important to me since my cat Avery tends to run when he’s scared, and is a pretty strong fella, so I worry about him escaping if the mesh is too thin or flimsy on one of these. Tried and tested is the way to go for me. I have no idea how durable all of these are, but I know the highest reviewed ones have been used by enough cat owners that I’d feel comfortable venturing to try them out. I’d worry about using one of these in my front yard, or someplace that gets quite a lot of commotion, but in a quiet environment like my backyard, I might give it a go. Anyway – if you’ve ever tried something like this out, or if you’ve ever considered giving it a go, let me know your thoughts in the comments! 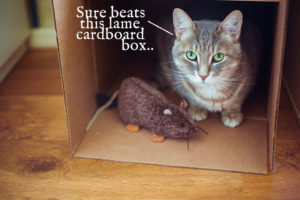 Maybe if more of us started trying them, more durable and higher quality ones would begin popping up because of the demand, and we could all have what are essentially temporary, portable catios for taking our indoor cats outside to enjoy the fresh air and sun regularly. 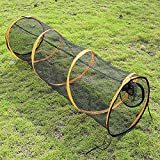 This is by far the most popular option for cat tunnels and tents ideal for taking your indoor cat outside. Some people have complained about design flaws relating to the product not being the most durable over time, as it’s poles can break and crack easily, the zippers are not adequately reinforced, as well as a number of other things, but my guess is if you have a cat or two who are not big on being rough and ready, this is likely going to suit you just fine. Actually, one genius reviewer took the time and a bit of cardboard to turn this into a temporary catio that came out of his window. I can’t imagine a more genius set up. As a heads up, you can also buy their Fun Run Cat Tunnel and their Happy Habitat Cat Tent separately if you prefer just one part of this outdoor playhouse. 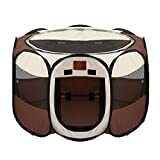 I would think if you’re looking primarily for durability like I would be, these portable indoor/outdoor playpen/exercise kennels would do the trick. Many of them are made to handle dogs, and while a lot of them cannot live through truly hyperactive canines, even the most hyper cat is nothing compared to a slightly hyperactive dog, so I think they’d probably do the trick just right for felines. This particular one comes in small, medium, and large. But there are a slew of alternatives available in case you’re looking for the perfect one. In terms of popup playhouse tents specifically with cats in mind, this is one of the most highly rated. 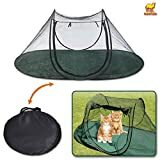 Of those that complain about this product, it seems the top complaints are that the actual tent is smaller than it looks in the pictures and that some cats don’t particularly like to be in it. 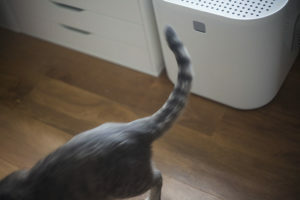 In terms of the first complaint, I’d recommend checking out the pictures from this review for a good visual on sizing, and in terms of the second, I’d recommend checking out my article on training your cat to stop hating his/her carrier (it’s super easy to do!) 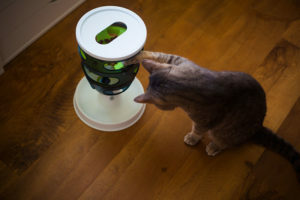 so if you do want to buy it, but your cat ends up bot being the biggest fan, you can train him or her to become used to the playhouse tent with only a little time and effort. 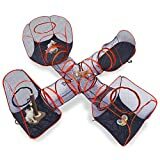 Alternative popup outdoor play tents you may want to check out include: the Petall Pet Camping Tent Playpen Cage for Dogs Cats & the Kenley Cat Outdoor Playpen Tent. 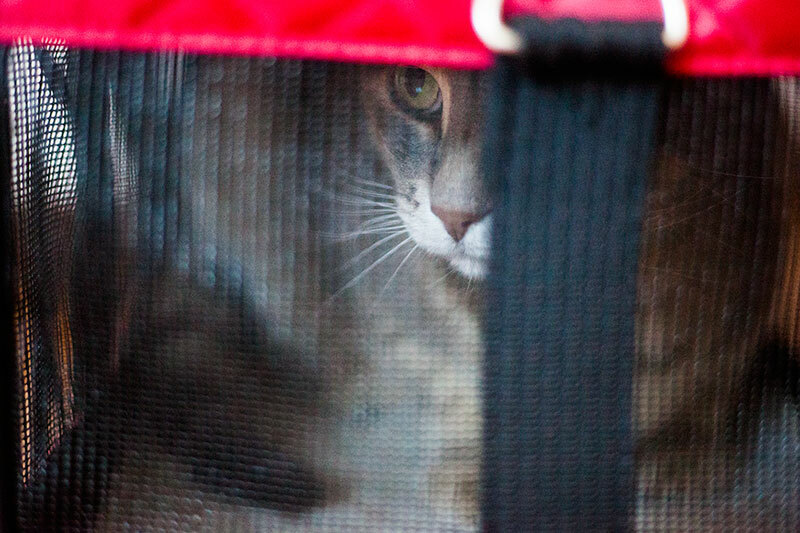 Looking for an outdoor play tent so big you can physically get into it with your cat? The FrontPet Cat Tent is definitely where it’s at. Want a visual? Here’s one for you. A word of advice if you opt to grab this product, as this reviewer recommends – don’t try to put it up by yourself, and “make sure the little fabric sleeves don’t get caught up on the plastic “knuckles” on the poles.” That seems to be the trick to make sure it doesn’t get destroyed while you’re attempting to get it set up. But enough of the tents – time for an outdoor cat tunnel! This one by Kittywalk appears to be higher quality than a lot of the tents I’ve showcased. 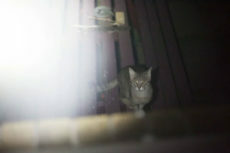 It seems people use it as a standalone playpen, and as catios that connect to the house paired up with a simple dog door. Looks a bit easier, slightly more permanent, and definitely more durable than the Aussie Naturals Cat Enclosure Tent + Tunnel combo from #1. I think if I were to grab something for Avery, this may just be it. Especially since it can be paired with Kittywalk’s other products, like their gazebo play tent. Here’s a visual of what that would look like. 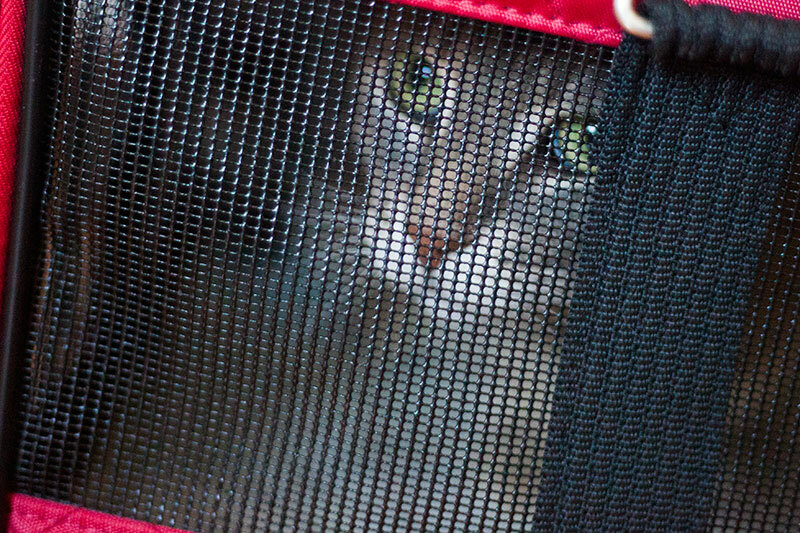 If the most important thing to you is durability, and making sure your indoor cat won’t escape from whatever you put him or her in outside, this expandable pet carrier that folds out on both sides as well as offers the option of adding a long cat tube with a mesh window out the front is probably your best option. 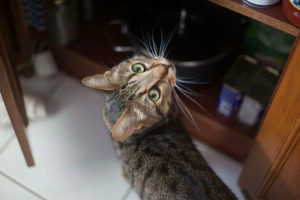 I have a feeling my husband may veto the other options on this list since Avery is known to be so flighty when he’s scared, and since he’s such a strong cat as I mentioned. The other options may not be able to hold him if a loud noise he’s not expecting occurs, but this almost certainly would, so I’d definitely look into grabbing one of these to take Avery out in. Yet another portable outdoor use cat tunnel that can be paired with a very nice tent. 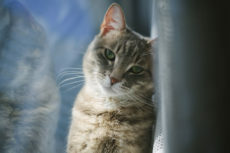 You can also pair up one cat tunnel with a second cat tunnel for increased space and a better view of a larger garden. Hasn’t got many reviews as of yet, but the reviews it’s gotten have been quite good, and a number of people have posted reviews with images, which I find really helpful. As with a lot of the products featured on this list, be careful putting them up and taking them down, as otherwise they seem to be able to be damaged fairly easily. 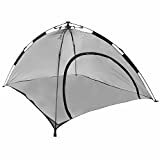 Not many reviews on this one, so I’m not quite sure how durable it is or how it would stand up over time, but if you’ve got a gentle little fella, or feel it’s worth the risk, I do feel this 4 tent + connecting tunnels combo is plenty worth the value. The last solid option I’m going to be featuring is this Strong Camel playpen. It seems to be well-loved by quite a number of cats. Perfect for balcony use, for patio use, for garden use, it seems! Not much to say – seems like a great cat tent for indoor cat use outdoors. Thoughts on Outdoor Tents & Tunnels for Indoor Cats? 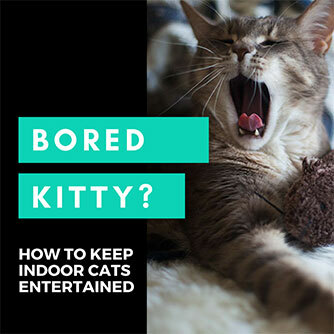 Do you like the idea of having an outdoor cat tent and/or tunnel to take an indoor cat outside in? Would you ever try one of these? Why or why not? Which of these options look best to you? Would you prioritize size, ability to add more to extend the initial product you bought, the ability to connect the tunnel or tent to the house? Would you prioritize long-term durability? 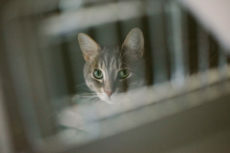 The likelihood that a flighty cat would not be able to break free (I’m sure this will not be an issue for most indoor cats who are very chill personalities – but that’s definitely not my scaredy cat’s way!). 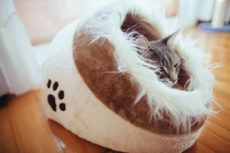 I also entertained the thought of trying a mesh tent created for humans as a re-purposed version of one of these – but do you think those would be better or worse for cats? Do let me know your thoughts down below in the comments! I previously had the one you call “aussie naturals” but the packaging said ABO gear when I got mine. It lasted about 6 months with my little Brucie using it about once a week when we would go to outdoor stuff for kids. Over time his claws and a little chewing and it just didn’t hold up. I went for the perfect playtent like Tera mentioned because it claimed to be more heavy duty. I can tell you there is no comparison in terms of durability. The one from perfect fence is WAY more durable. The mesh they use is much better and the entire thing just seems kind of more premium. Granted I guess it should be cause its a bit more expensive but I think this thing will easily last several years. It also came with a cover which none of the other tents I have seen had. Makes it great to offer Brucie some shade or to protect from the wind if needed. I hope that helps others. Thanks so much for stopping by to share your experience, Maggie! 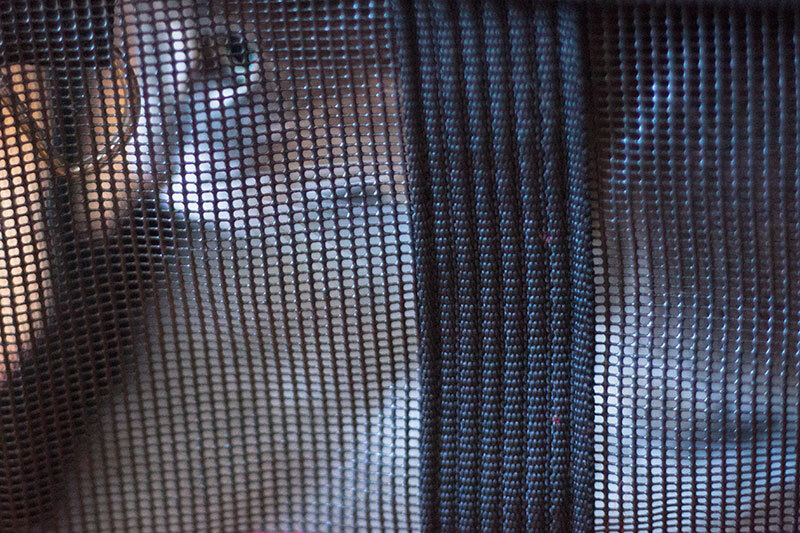 The Purrfect PlayTent does look really good, actually. I hope it holds up for several years – looks to me like it will. Great list I keep coming back to! I have been trying to decide for weeks. 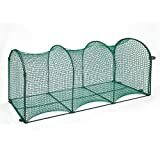 I ended up going with one that was not on your list from a company called Purrfect Fence. You should add it to your list, its seems quite a bit larger and more durable than the others you listed! Let me know what you think about the one you got! Looked them up, and they do look excellent, but haven’t found much in terms of customer reviews on them.